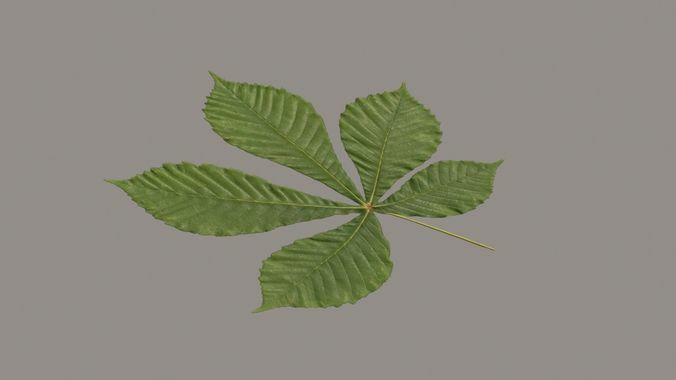 Photoreal chestnut leaf PBR material. image size: 2389х2656 7 textures for material: Diffuse, Normal, Glossiness, Displacement, Transucency, Alpha, Bump 1 polygon. Medium quality cutout of a chestnut leaf.